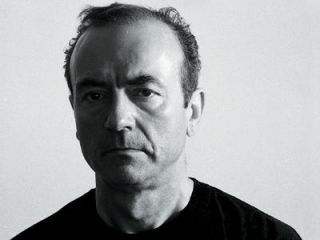 Former The Stranglers frontman Hugh Cornwell has launched a scathing attack on Metallica for the band's much-publicised lawsuit against Napster… nine years too late. Cornwell is currently giving away his latest solo album, Hooverdam, as a free download. "The internet is the perfect delivery system for music, so why not use it? I don't see it as being exploited at all - I think we are exploiting the internet," Cornwell told Contact Music. "I think you have just got to find more ingenious ways of generating a living than by ripping people off, charging them £15 for an album that they can get for free. It just means people aren't being ripped off any more." "To physically print up a CD it costs about 50p. It you're charging £15 for it, that's a huge profit margin. It just means that all these years, people have been ripped off." And referring to Metallica's 2000 spat with file-sharing website Napster, he said: "It's silly. Come on! It's hysteria. You have got to grow up and move forward. They can't exactly need the money, can they?" No. But then again, it was almost nine years ago. Perhaps they were financially challenged at the time? You can download Hooverdam, right here.